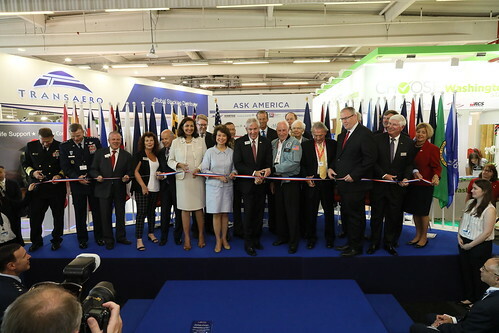 The 2017 Paris Air show was Kallman’s 12th consecutive edition organizing Americans at Le Bourget, and the first under the new “USA Partnership Pavilion” banner. 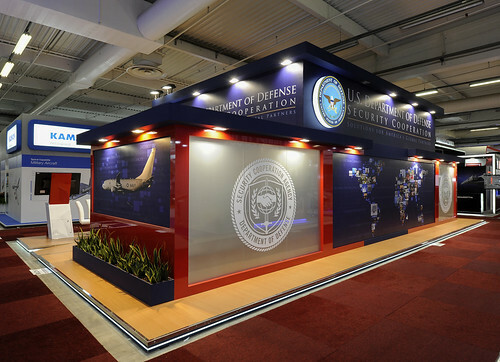 Pre-show and on-site media coverage of the Pavilion and U.S. exhibitors reflected America’s commitment to global aerospace and defense partnerships that further common business interests and strengthen democratic alliances. Click the links below to learn more about the U.S. presence at the Paris Air Show 2017. Mississippi Development Authority, Gulfstream Aerospace and JAXUSA Partnership win for standout booth design. 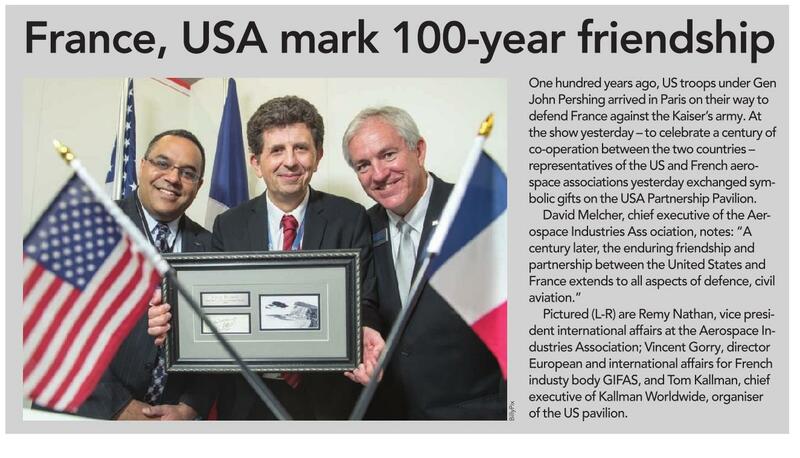 It’s been two years since the last Paris Air Show. What’s new in your country? 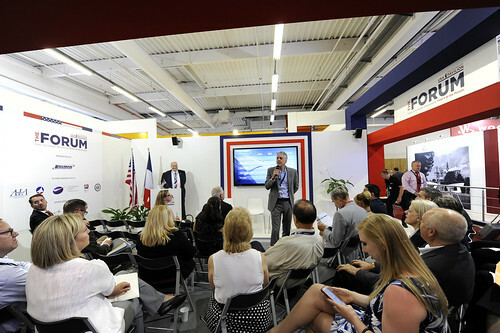 America has new onsite headquarters at the show, the USA Partnership Pavilion. More than 350 U.S. companies are expected to exhibit at Paris this year; 240-plus representing 32 states in Kallman’s new 4,200m2 Pavilion, located prominently in Hall 3. 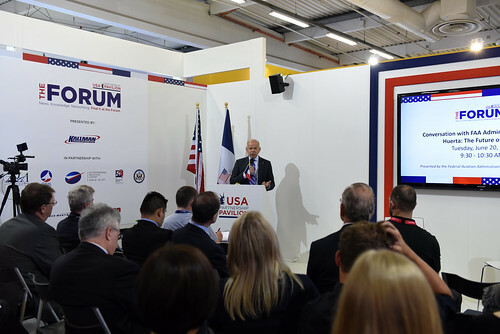 PARIS — An FAA committee is discussing options for identifying and monitoring unmanned aircraft, which is a key step in the creation of drone businesses like package delivery, FAA Administrator Michael Huerta said on Tuesday during an event at the Paris Air Show. During the Paris Air Show, six aerospace giants have confirmed their support for the next edition of the Bahrain International Air Show (BIAS). Airbus, Boeing, Leonardo, Lockheed Martin, Textron and Thales have all signed up to participate. 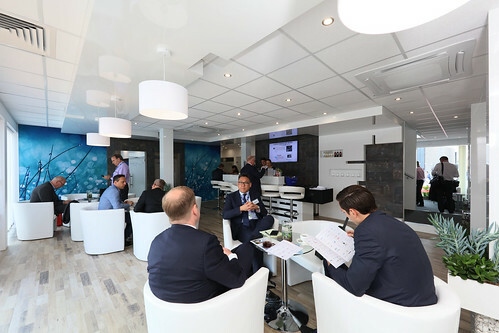 These companies follow others that have pledged support during the EBACE and IDEF. 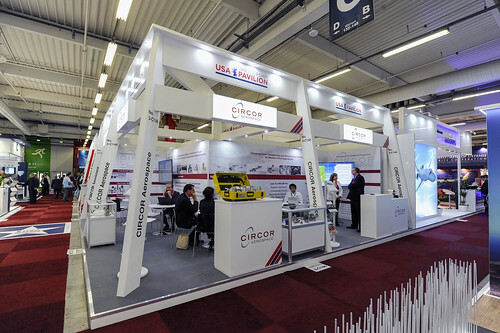 See you again in 2019 at Le Bourget!